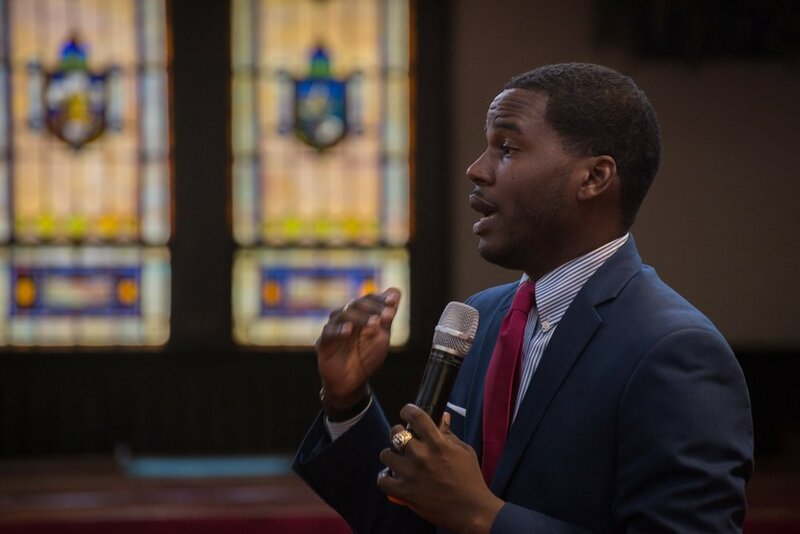 In 2009, as a senior at Winston-Salem State University, I was selected to the first of three terms as the East Ward City Council Member and became the youngest member elected to the council in the city's history. I've had the privilege to serve on all four of the Council committees and service as the current chair of the Community Development, Housing & General Government Committee. We have been able to champion new affordable housing policies, increase minimum wage for city employees, and oversee the largest public-private investments in the city in a generation. Our investments in workforce development programs have increased opportunities for underserved populations and expanded investments in historically underserved communities. A time long ago, NC was known as a national leader in public education, this is not true today. We must fight for Universal Pre-K to ensure that all our children, no matter their zip code, has a fighting chance to succeed. This has to be lead by teachers who earn a competitive salary. NC college students are graduating with massive amounts of debt, the largest in history. The North Carolina Constitution clearly states that our public colleges and universities should be as close to free as possible. We must keep this promise! Without much noise, NC is going through one of the worst affordable housing crisis we have ever seen. Forsyth County is just starting to feel its impact. We must fight to keep housing costs affordable for everyday people with the expansion of the Low Income Tax Credit program and creating a new state bonding process for Affordable Housing Developments. These are just a few of the issues important to me and this district. I hope to gain your support to continue fighting for you!